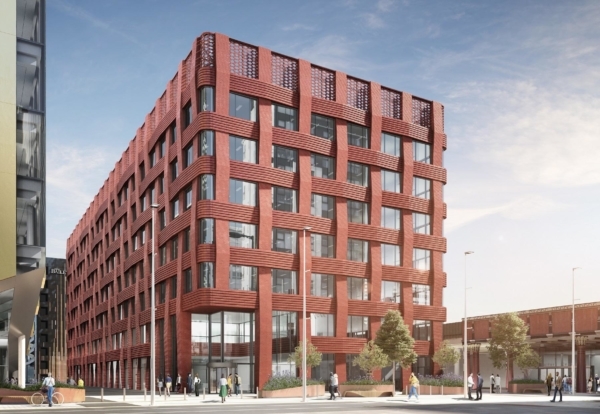 The English Cities Fund, a joint venture between Muse Developments, Legal & General and Homes England, has appointed Bowmer & Kirkland as contractor on the 157,000 sq ft third office development at New Bailey in Salford, Greater Manchester. Bowmer & Kirkland has a strong track record at New Bailey, having already successfully delivered a Premier Inn, One New Bailey and is currently on site at Two New Bailey Square. Neil Brook, regional director, from Bowmer & Kirkland, said the Grade A office project is due to start on site in early 2019, with completion due in early 2021. There are currently four other live projects under construction at New Bailey, including Riverside House and the third phase of the residential development at The Slate Yard. Phil Mayall, regional director at The English Cities Fund, said: “It is testament to the hard work and dedication of the team at Bowmer & Kirkland that it has been selected again for the development of a third office building at New Bailey. The BREEAM ‘Excellent’ Three New Bailey building will comprise the ground floor and six storeys and will be situated on New Bailey Street, immediately adjacent to Salford Central station, fronting a large new area of high-quality public realm.